Practice starts February 17, 2019. What are the age groups for the 2018 season? What is Gainesville RedHawks Lacrosse? 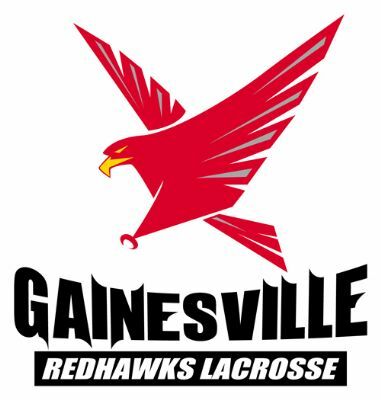 Gainesville RedHawks Lacrosse is recreational based lacrosse that serves Gainesville and surrounding areas. This is NOT select based lacrosse and any male - fitting the age guidelines regardless of ability level - is eligible to play. We are an entirely team fee funded organization. All of our expenses are built into the player fee. The player fee covers our field rental, stadium light rental fee, lights that are to be brought in to practice, lacrosse balls, goals, netting, painting of fields, player uniforms, tournament fees, ref fees, coaches gear, website, team insurance, professional fees, corporate filings, etc. Please note: For safety reasons, some new to the game (10U, 12U and 14U) players may not be able to compete in our first tournament because it takes place after only 4 practices. Our goal is to make sure all players understand the rules of the game and can compete in a safe manner. Please see your head coach with questions if this applies to you. At 10U and 12U age groups there is VERY limited body contact. At 14U there is limited body contact. Your primary goal is to play the ball on the ground not the man. However, lacrosse is a contact sport. What if my son has never played lacrosse before? Great! He is welcome to join assuming the team he qualifies for has space. There are no tryouts. The RedHawks are for new and experienced players. The best time to join the RedHawks is 10U and 12U. The team is normally very full once players reach 14U. What will I need at the time I register? 1. The system will walk you through obtaining your son's USLacrosse number. This number ($25) provides him with insurance and allows him to compete. You cannot register without this. Getting this number doesn't complete your registration - it is only a part of the process and you must return back to our website via a link to complete the process..
2. You will need a PDF copy of your son's birth certificate to upload. 3. You will also need a credit card ready. No checking ACHs. On the left hand side of our web page is a list of things that are required to play the game of lacrosse. We do NOT provide equipment. We recommend you purchase a solid white helmet.